The paper provides comments on several points in the 2016 State of the World Fisheries and Aquaculture produced by the Food and Agriculture Organization of the United Nations (FAO). It is shown that data assembled by FAO from submissions by countries suggest a “stable” trend mainly because the declining catches of a number of countries with reliable statistics is compensated for by unreliable statistics from countries where reporting increasing catches may be politically expedient, e.g., China, Myanmar. Also, concerns are raised as to why FAO ignores the well-documented data ‘reconstruction’ process, which fills the gaps that exist in data reported by countries to FAO. Finally, comments are presented on the proposition that aquaculture will overtake wild capture fisheries in terms of food production, notably because current aquaculture requires huge quantities of wild-caught fish as feed. Indeed, this emphasis on aquaculture-as-substitute for fisheries raises issues of food security and malnutrition in developing countries, from which much of the fish used as feed originates. To cite this article: Pauly, D., & Zeller, D. (2017). Comments on FAOs State of World Fisheries and Aquaculture (SOFIA 2016). Marine Policy, 77, 176–181. 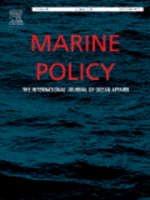 DOI: https://doi.org/10.1016/j.marpol.2017.01.006.